LOVE it Suzanne! 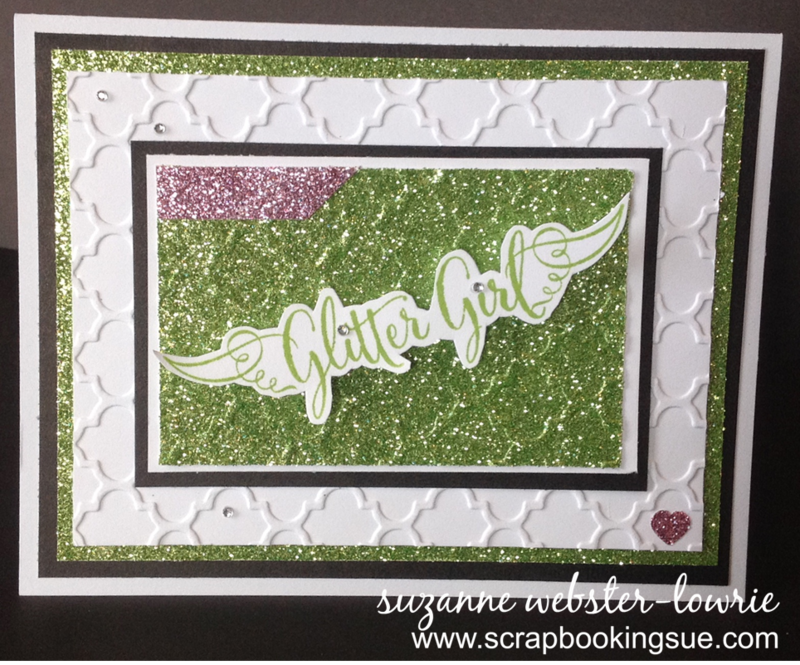 I also love that you embossed on the Glitter Cardstock AND combined the green and pink glitters! AWESOME! Love it! Love the added glitter paper. 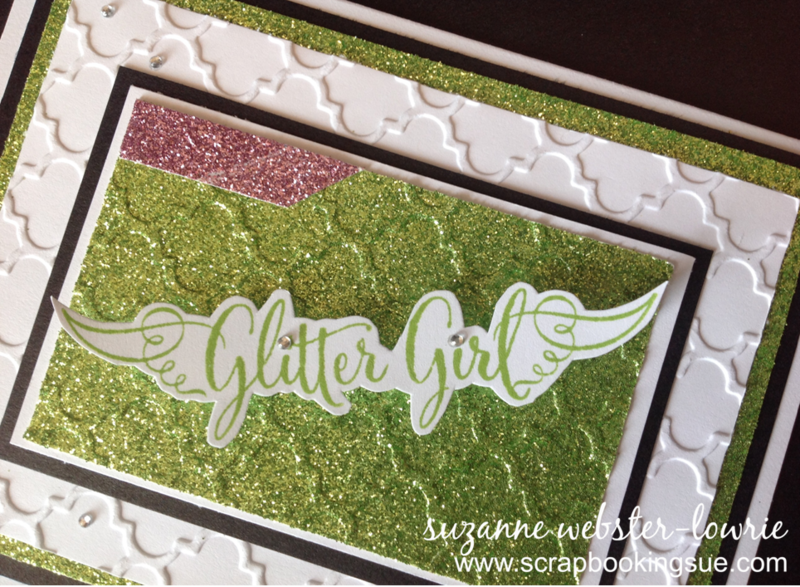 Your DELIGHTFUL card is CLOSE TO MY HEART, because I’m a Glitter Girl, loving lots of SPARKLE & SHINE!!! 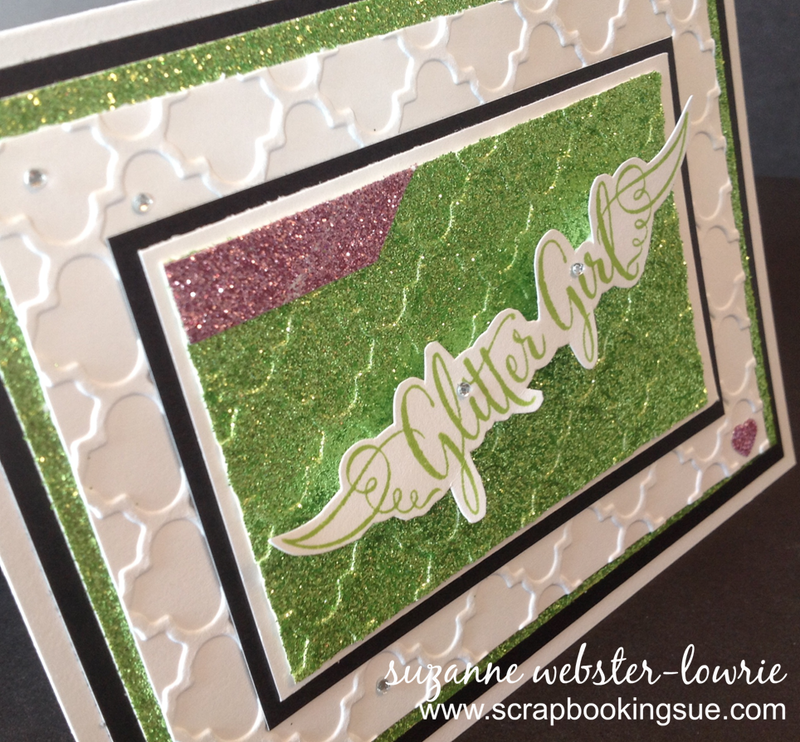 LOVE the contrast of your ELEGANT embossing against the glitter & bling, LOVE your sweet, fussy cut sentiment too!!! 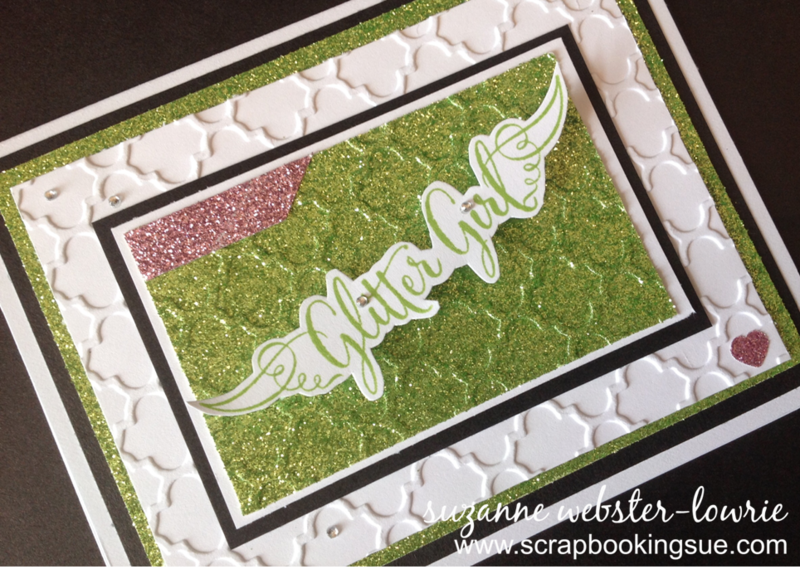 WOW – I haven’t tried embossing glitter paper before – THANK YOU for the BEAUTIFUL & CREATIVE INSPIRATION!!! Tracy, thank you for your sweet comments! It was a fun card to make!